Hi all. Just thought I'd let you know what is going on with my choir, The Songsations. I have been talking about starting a choir for the past couple of years so the fact that it has happened thrills me! I wasn't completely sure that I would enjoy leading a vocal group, particularly a group of adults. I have much experience of leading children in singing activities but I had not, until a few weeks ago, worked with a group of adults. It is a very different kettle of fish (not in a bad way). The group has grown in number, over the few weeks we have been going, to a healthy 7 regular members and I have one more starting next week. All those that have joined must enjoy it as they keep coming back! We get a lot of singing done but always make time for a cup of tea half way through. This term we have been working on 'Falling Slowly', from Once, 'Seasons of Love' from Rent and a medley of songs from the animated film Sing! Next term we will add new repertoire and we might, (might!) organise our first concert. So if you fancy giving our group a try, click on The Songsations at the top of this page for all the information you need or send me a message via the contact form at the bottom of the page. Go on, come and have a sing! Why are you even here?...actually there are many reasons. So, as I prepare for the new term I thought I would write a little post about something that winds me up, but probably shouldn't. I love teaching, I really do (good job too as its all I do these days) but what really gets my goat is when people come for a lesson, on their own or as part of a group session, and won't sing out. I feel like screaming "why are you here?". I should point out this does not apply to those attending their first lesson. It is nerve wracking singing in front of someone you don't know for the first time and I totally get that, no, I refer to those who have been coming for lessons for a long time and still can't seem to open their mouths wide enough to shove a Malteaser in there. I pride myself on being a confidence builder first and foremost. I like to coax a voice out of the nervous student and love watching them become more comfortable and confident and able to open their gob to finally let their voice out. Those are the students I love teaching. 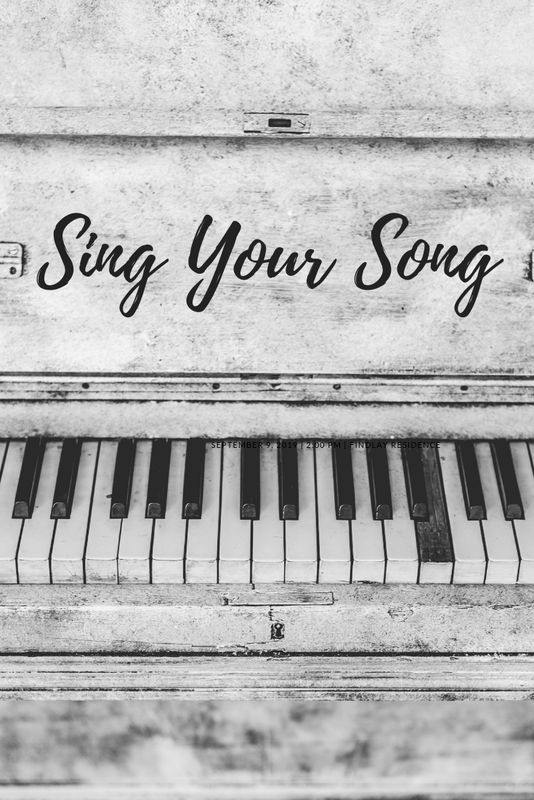 I have a pretty good record in my private 1-to-1 lessons of getting students to open up and sing with confidence the one area that frustrates me the most is group singing lessons, particularly with teenagers. I do find myself saying, sometimes out loud but most of the time in my head, "why are you here? Why do you come to sing when you won't sing loud enough for anyone to hear you?". The fact that they turn up every week means they are getting something from their lessons with me so I try not to push them but try to "trick" them into singing just a bit louder. Sometimes it works, sometimes it doesn't. The simple fact is, people get there in their own time. I can't and won't make someone sing out when they aren't ready but I really hope I am there the day they do decide they are ready to move to the next level. However, as we head towards the new term and, most importantly, The Songsations inaugural session (12th Sept, click here for more information), I ask all students, old and new, to just go for it. Sing like no one is listening. There is nothing to fear and everything to gain. The endorphins released when you really sing are the best and totally addictive, in a good way, you don't need to go to rehab for a singing addiction. In sessions with me, nobody is judging you, nobody expects or wants you to fail. Even singing out of tune is fun! Although I will try to help you remedy this if tuning is a problem. Just use both lungs and go for it. If you have been thinking about having lessons or joining a group get in touch via the "Contact Me" section below and let's get started. What's the worst that can happen? Don't keep me in the dark....your teacher needs to know! So, over the years that I have been teaching I have had a lot of students who have come to me on a regular basis but I have also had a fair few who have come to me for one or two lessons to help them prepare for an audition/exam/karaoke spot and there is one thing about this that frustrates me. I never hear the outcome. No matter how many times I say to a student I know I will (probably) never see again "please let me know how it goes" not one has ever got in contact to tell me. This could be for a variety of reasons: it went badly, they forget, they don't want to tell me, they have been traumatised by the whole experience and never want to think about it, they think I don't mean it plus a variety of other reasons. The fact of the matter is I am REALLY nosey and REALLY want to know. It is one of the best parts of my job finding out if the work I have done with a student has paid off. I don't like to contact the student as I feel it is up to them to contact me if they want to tell me how things went. This, very short, post is simply to tell all you students of singing out there, your teacher is interested! Your teacher has invested time in you and is always curious to know how you got on so please don't forget them. Just send a quick text to tell them how you got on. I promise you will make their day!